In today’s world, some people don’t believe that blogging is a useful tool in a world where social media has become prevalent. Many believe that the potential in a business’s marketing strategy lies in platforms such as Twitter and Facebook. However, there are many reasons why blogging is just as useful as having a Twitter and Facebook account and integral to a brand’s marketing strategy. By not having a blog, you miss out on a huge opportunity to your company’s visibility and digital reach. Blogging can help drive internet traffic to your website. A blog gives you the chance to create original and relevant content to your customers, which can be a tactic to drive traffic to your website. If you have various social media accounts like Twitter, Facebook, LinkedIn, and Pinterest, you should use these sites to your advantage by posting links to your blog. Putting inbound links in your blog also helps create more traffic to your website. Blogging also helps your SEO or Search Engine Optimization. By consistently putting out new content in your blogs, you boost your rankings in different search engines, making you and your business more visible on the internet. You can also include various keywords, topics, and categories that you want to be found with your business when you write your blog. That way, when someone searches something related to that word or phrase, you will come up in earlier in search engines. Even if you do not include keywords on purpose, blogging regularly will only naturally boost your search rankings. Blogging can also establish your position as an expert and industry leader. 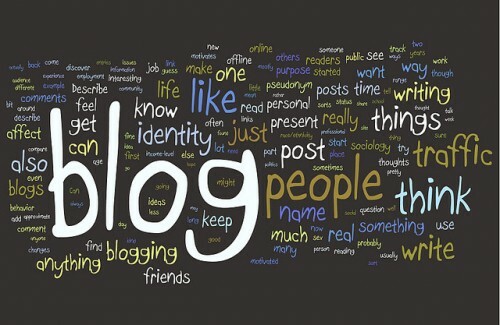 Well-written blogs will gain the attention of consumers and people within your industry. By displaying expertise in your blogs, you are also marketing your skills for your business as well. This can also build trust and better relationships with your customers. The more you show that you are knowledgeable in your field, the more people value what you have to say. In addition, blogs allow you to interact with your customers and respond to their comments. This allows you to make a deeper connection with your customers and helps to expand your reach amongst your audience. Even though blogging seems outdated with social media taking over the world, blogging is still an extremely important tool. Blogging has many benefits and can help build and expand your business.